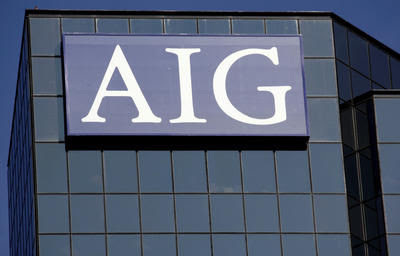 Insurance giant American International Group (AIG) on Sunday moved toward another restructuring of its massive debt, marking a further widening of the historic federal bailout of financial markets. AIG Monday will release an expected dismal earnings report, forcing a retooling of the company and its $150 billion federal bailout. The government is preparing to offer AIG access to as much as $30 billion in new cash to keep it alive, according to several people with knowledge of the deal who spoke only on the condition of anonymity because of the sensitivity of the matter. In addition, the government will convert its previous investment in so-called preferred shares into shares that don't receive a dividend payment. Also, the government will gain a stake in two of AIG's insurance subsidiaries as payment for $35 billion of previous loans. "All of us are paying for this," says Donn Vickrey of research firm Gradient Analytics. "It's a disaster." AIG's solvency, and preservation of its credit rating, is vital, as it was one of the largest writers of complicated financial derivatives, says Cathy Seifert, stock analyst at Standard & Poor's. If AIG had trouble making good on some contracts, global financial pain would deepen, she says. The move to rescue AIG follows the Treasury Department's Friday announcement that it raised its ownership in banking giant Citigroup (C). General Motors (GM) and auto parts suppliers are also pleading for billions of dollars in government loans. Fannie Mae said it needs $15.2 billion in aid and asked to draw on its government lifeline of up to $200 billion. The financial system's fragility is already unnerving investors. Stocks, measured by the Dow Jones industrial average, declined last month for the sixth month in a row for a cumulative loss of 38.8%. While credit markets are healthier compared with late last year, nervousness is rising. Contracts protecting credit investors against the risk of not being repaid by financial institutions saw prices leap 24% in February, Credit Derivatives Research says. Yields on debt of companies with the highest credit ratings relative to Treasuries with equivalent maturities have risen nearly 5% in February, Merrill Lynch says. Yields, though, are still 15% below their most stressed levels, in December. Despite the staggering costs, stabilizing the financial system is vital, Boston Federal Reserve President Eric Rosengren said Friday at a New York conference sponsored by two business schools. "Until you get the banking system to be thinking about future opportunities, you don't get the economic growth that you need," Rosengren said.